This filly is by the Champion Victorian Sire Written Tycoon. Written Tycoon is the sire of five individual Group 1 winners including Golden Slipper winner and now sire Capitalist and Blue Diamond winner Written By. He is an extraordinary source of two-year-old speed but also of sound horses that can race on like his most recent Group 1 winner, the four-year-old mare Booker who won the Group 1 Oakleigh Plate. With his lifetime runners to winners at 73%, Written Tycoon's progeny has amassed earnings in excess of $49 million. This filly is an early foal out of the city winning Fastnet Rock mare Princess Layla. A debut winner as a two-year-old, Princess Layla just missed out on placing in a stakes races during her juvenile season. A first up winner as a three-year-old, the tough mare placed in four more races during her campaign. Princess Layla is the dam of two foals to race both winners. She is a half-sister to seven winners including two stakes-placed horses in Kadena Lane and Destined To Be. 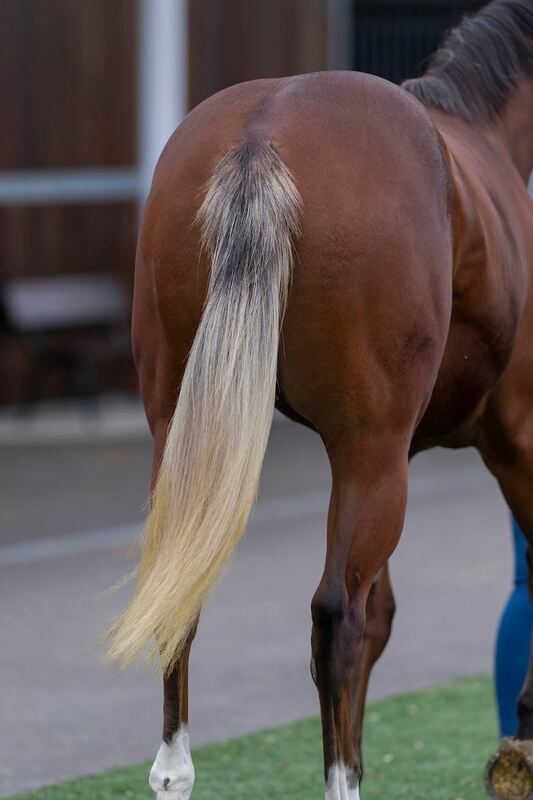 This filly's pedigree boasts stakes horses all throughout with an international flavour. 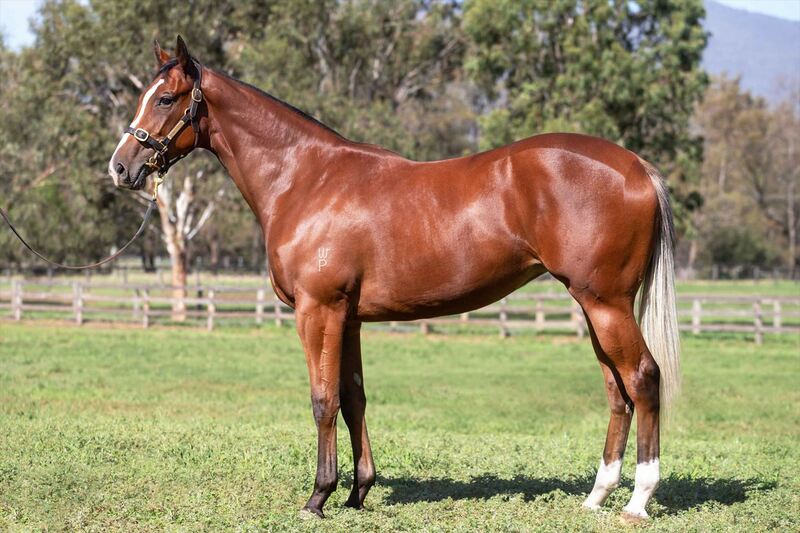 She is a sharp looking filly by the right sire in Written Tycoon to make an early two-year-old and we could not me be more excited to add her to our class of 2019. Let it Roll (g by Not a Single Doubt) 4 wins-1 at 2-from 1300m to 1650m, A$99,010, to 2017-18 in Aust. Thiswilldous (g by Zoustar) 2 wins at 1000m, 1100m in 2018-19 in Aust. Kadena Lane (g Black Hawk) 8 wins to 1500m, A$116,443, 3d MRC Merson Cooper S., L, MVRC Rohan Smith H.
Destined to Be (g Danehill Dancer) 5 wins at 1200m, 1400m, R322,030, Clairwood Open H., 2d Turffontein Secretariat S., L, Datona Race (Pty) Ltd H., Vaal Computaform H., 4th Newmarket Senor Santa H., Gr.2. Princess Layla. 2 wins. See above. TUSCAN SLING (f Danehill Dancer) 7 wins to 1400m, A$405,400, MRC Geoffrey Bellmaine S., Gr.3, Mannerism S., Gr.3, Christmas S., L, MVRC Jeep 55 Second Challenge Heat 1 H., EJ Whitten Foundation H., Sportingbet William Hill H., 2d MVRC Jeep 55 Second Challenge Heat H., 3d MRC Alinghi S., L, MVRC Jeep 55 Second Challenge Heat 8 H., MRC Grand Hotel Frankston H.
Arrival (f Choisir) 2 wins-1 at 2-at 1000m, 1200m, 2d SAJC Pewsey Vale S., L. Producer. 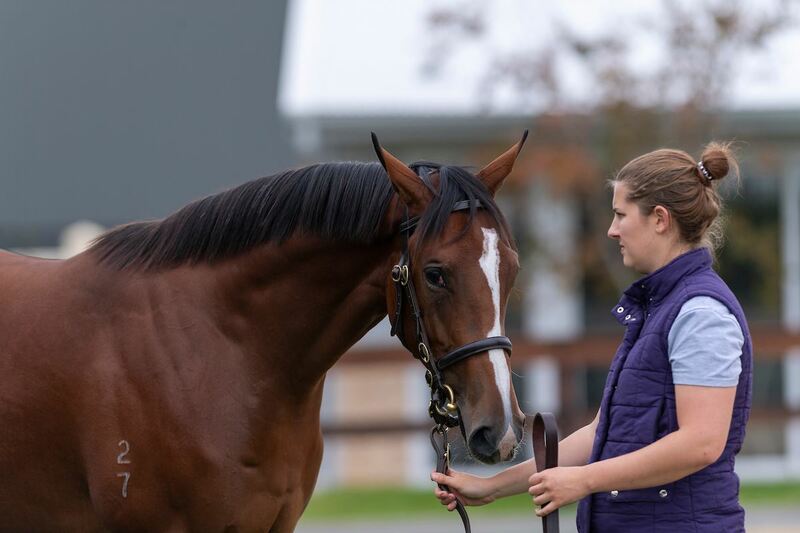 KIWIA (g Reset) 7 wins from 1400m to 2400m, A$775,750, to 2018-19, MRC Coongy H., Gr.3, Ballarat Cup, L, MRC VOBIS Gold Stayers, Dream Thoroughbreds H., 2d Bendigo Cup, Gr.3, MRC VOBIS Gold Heath, VRC Henry Bolte H., 3d BRC Brisbane Cup, Gr.2, 4th BRC Premier's Cup, Gr.3. LITE'N IN MY VEINS (g Henrythenavigator) 9 wins from 1200m to 2050m, A$741,115, to 2017-18, WATC Sir Ernest Lee-Steere Classic, Gr.3, Northerly S., Gr.3, Birthday S., L, SAJC CS Hayes Memorial Cup, L, MVRC Martin Ralston Cup H., SAJC Carbine Club H., WATC Perth Racing TV P., Ramelius Resources H., SAJC Schweppes H., 2d MRC Jockey Celebration Day H., Ladbrokes Info Hub H., WATC JJ Richards & Son H., 3d SAJC RA Lee S., Gr.3, 4th WATC AJ Scahill S., Gr.3, Hyperion S., Gr.3, Raconteur S., L.
HI WORLD (c High Chaparral) 4 wins from 1400m to 2000m, A$341,025, ATC Carbine Club S., Gr.3, Frank Packer P., Gr.3, Tab.com.au H., 2d VRC Saintly H., 3d VRC Sofitel H., L, Carbine Club 2YO P., 4th VRC Carbine Club S., Gr.3. LOVEYAMADLY (f Bel Esprit) 6 wins to 1200m, A$319,338, MVRC Abell S., L, VRC Mrs Mac's Beef Pie Sprint P., MRC City Of Glen Eira H., MVRC Chandler MacLeod H., 2d MRC Geoffrey Bellmaine S., Gr.3, Doveton S., L, VRC Mark Taylor H., 3d MVRC Printhouse H.
DUCIMUS (c Snitzel) 2 wins at 2, A$161,000, VRC Talindert S., L, 2d ATC Pago Pago S., Gr.3, VRC Ron Taylor H., 4th MVRC Red Anchor S., Gr.3, MRC Vain S., Gr.3. American Crew (g Stratum) 2 wins-1 at 2-at 1300m, A$172,800, STC Calmsley Hill City Farm 2YO H., 2d AJC Happy New Year H., STC BP Woodard & Associates 2YO H., Slipper on Sale H., Return to Racing 2YO H., Bairnsdale Cup, 3d BRC TJ Smith Classic, Gr.1. Where's Wally (g Rogano) 5 wins to 1400m, A$149,740, to 2017-18, WATC James Boag's Premium P., 2d WATC Placid Ark S., L, 3d WATC Kirin Megumi P.